While the leading OSes of the day use button-based navigation to various degrees, the Nokia N9 pioneered the gesture-based interface. Sadly, the N9 fell victim to Nokia's Windows Phone transition, but a team of ex-employees kept the Maemo/MeeGo dreams alive by establishing Jolla. 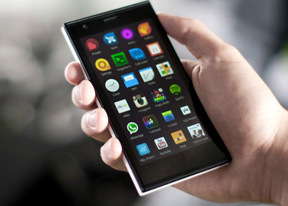 Jolla created its own fork of the Linux-based mobile OS. Tizen is another fork, but that's just vaporware for now, despite support from tech giants Samsung and Intel. 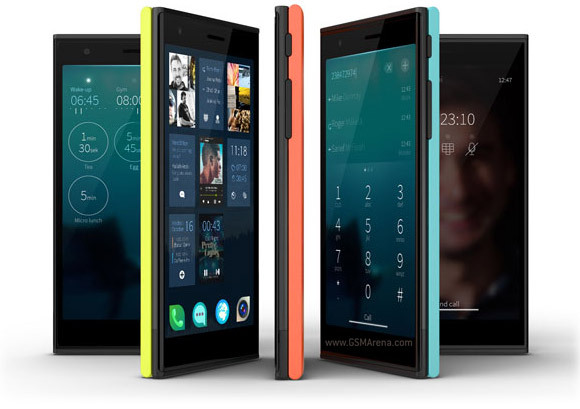 And we like what Jolla has done with the software - the gestures do take some getting used to (perhaps because the iOS and Android way of thinking is so ingrained in us) but once you do, they are simpler to use than BlackBerry OS 10's gestures. It doesn't feel like quite the finished product as there are some areas where the gestures are still lacking. Using the Yandex and Amazon Android app stores is a quick way to bootstrap the app ecosystem as the native Jolla store is quite barren at the moment. Unfortunately, even our quick encounter with the Jolla is enough to tell that the software isn't done. Some features are either buggy (e.g. the camera) or don't work as advertised (the Other Half still doesn't do all we were promised). Yes, Jolla doesn't hide that Sailfish is in beta, but charging people €400 for a product and then using them as beta testers is no way to gain widespread appeal. In terms of hardware, we suppose, the Jolla phone is good enough (we were hoping to see the Other Half concept expanded on). It has the specs of an Android or Windows Phone device half its price, but, it's a unique piece of tech that offers what no one else does - a Linux-powered phone. Linux may be the unseen core of Android, but a proper Linux phone does not - or rather did not - exist and some people have been waiting for ages. So, never mind the chipset, the screen resolution, the camera, never mind that the Jolla phone in its current state is practically a prototype. This is a story of an underdog bringing us what we wanted, what the Nokia giant promised but didn't deliver. It's also a promise of a truly open platform - sure, Android is open sourced but Google is continuously tightening its iron grip and letting its Big Corp interests show. Both Mozilla and Canonical are making much of the same promises though and at least Mozilla had the sense to start its Firefox OS at bargain basement prices. A €400 phone with these specs and this software is an impossible sell to non-geeks. But with an ever-expanding geek market, securing it might be all Jolla needs to succeed.